I know I said I'm not going to post anything fashion related here because it's definitely an area I have zero knowledge but let me make this (rare) exception. 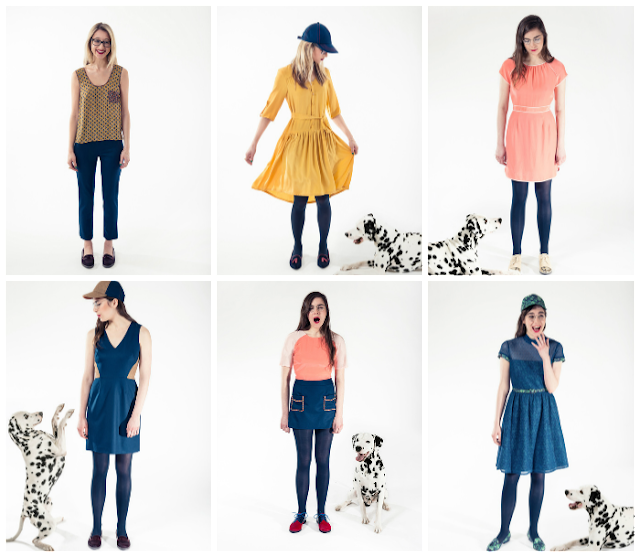 I like most pieces to Rachel Antonoff's Fall 2013 collection because it looks comfortable and definitely wearable. Not too costume-y and the prints are just fresh and fun. I usually go for neutrals (a lot of blacks and grays) but these bright colors and patterns are such an eyecandy! I am no fashion expert but I found the whole collection great, enjoyable and inspiring. So, what is a best friend? Lena Dunham (Girls) made this short film that showcases Antonoff's collection and sheds some light on what goes around a typical best friend relationship. It stars Alice Gregory and Grace Dunham, and narrated by Adam Driver (yes, Adam in Girls) in his thick English accent. You may view the entire collection here.